Narcotics Anonymous values building relationships with those in government, the clergy, the helping professions, and private voluntary organizations. We believe that the maintenance of successful relationship involves ongoing dialogue and mutual communication. Our experience shows that we have many non-addict friends that can advocate for NA. The Northern California Region of Narcotics Anonymous cooperates with professionals and organizations, by providing information about recovery through the NA Fellowship. Additionally, NA members are often available to make panel presentations in educational facilities, treatment centers and correctional facilities as well as other public venues. 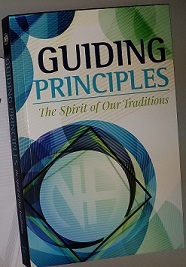 The Northern California Region also makes available Narcotics Anonymous literature for sale to professionals and facilities. If you need literature for your facility please order from our online store.